Happy almost Christmas! This morning, before we pack up the car and head to the north for a week of Christmas fun, I wanted to share a different kind of holiday cocktail, the morning kind. Personally when it comes to drinking before noon I prefer bloody marys and mimosas, but there is something to be said for a hot Irish coffee. 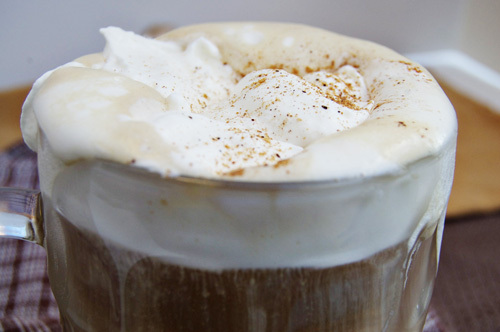 It’s such a decadent drink, creamy and rich and full of flavor. Worlds away from my usual cup of black coffee. 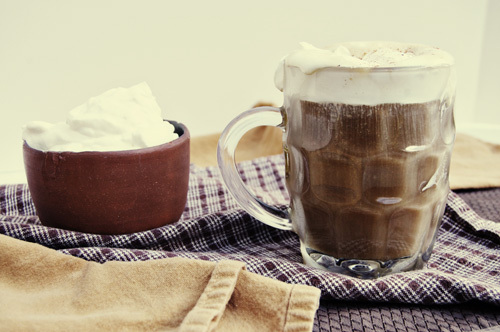 An Irish coffee is a combination of strong coffee or espresso, cream, and Irish whiskey. 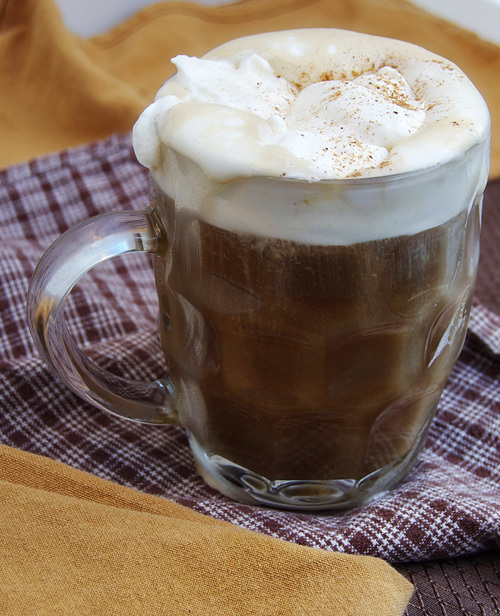 Some variations include brown sugar or Irish cream liquor, but as I’m not much of a sweet coffee drinker (and I really don’t need that much booze in my morning cup), we opted for a more basic recipe. And while I think I’m drunk just from licking the whipped cream off the side of the glass, this would be the perfect holiday brunch cocktail for the whiskey lovers in your family! Whip cream and a bit of sugar together. Make coffee. 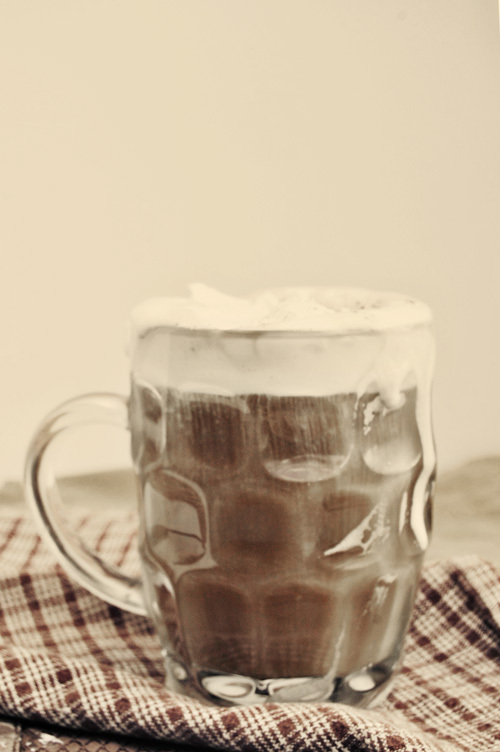 Combine coffee, a dash of heavy cream, and whiskey in a mug. 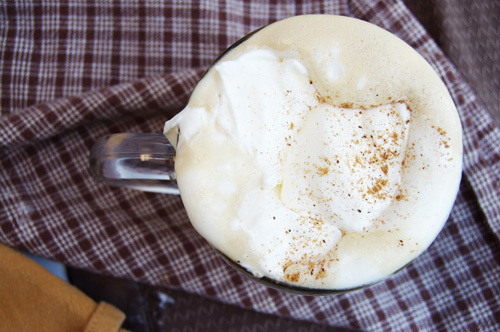 Top with whipped cream and nutmeg. Drink with caution. Like most everyone, I am the result of many different families, marriages, couplings. Most recently I can trace my lineage back to four families, the Rosemonds, Waldrons, Fiorellos, and Ballengers. 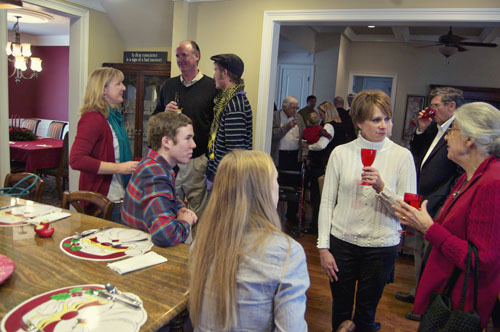 This past Saturday was the Ballenger family Christmas party, my paternal grandmother’s family. My grandmother, Bobbie, was the daughter of Stanley Ballenger and Flossie Caudell, and had a sister Nita and two brothers, Ted and Jimmy. 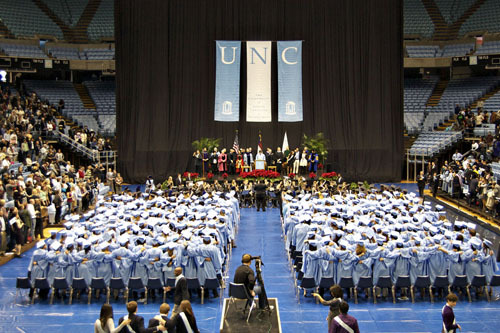 Dan and I don’t often have the opportunity to attend these gatherings because of the timing and distance but this year it happened to fall the day before my sister Genevieve’s graduation from UNC. This lucky timing means that this Christmas we’ll be able to see every side of our family, which is completely wonderful. Over Thanksgiving my dad and I were talking about the Ballenger party and he mentioned that he very much wanted to recreate a recipe from my grandmother, Bobbie. 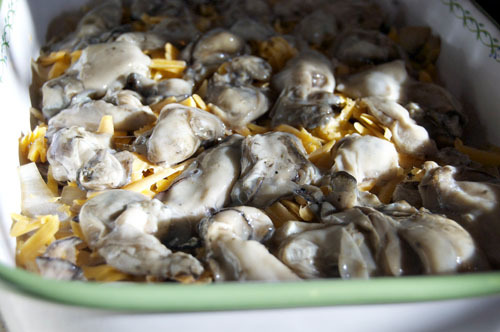 It was her mock oyster casserole recipe (also known as broccoli casserole), and he wanted to make it with real oysters. We did some digging and recipe planning and decided that the morning of the party we’d wing it. And that we did. My dad loves to make fun of me because, it seems, over the years I’ve become that person that people ask for food advice. Saturday was no exception. As we were throwing the casserole together (and arguing about how to make it) I was reminded of how important food is to my family’s culture. On all sides food is something to create and enjoy together. It seems my blue eyes, firery personality, and two left feet aren’t the only things I inherited. 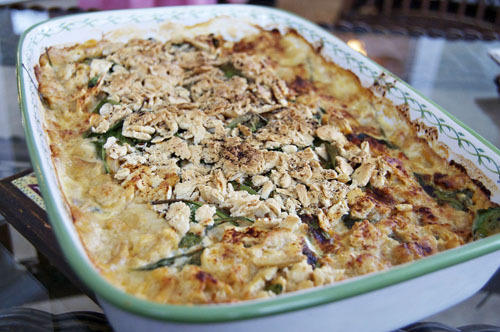 The recipe is pretty simple, we layered saltines, spinach, oysters, cheese, mushrooms and onions, and then poured a cream sauce over everything. 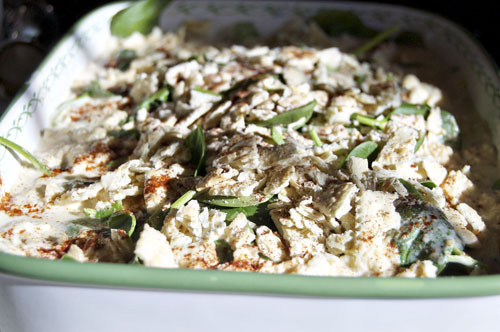 The end result was completely delicious, salty and full of flavor with just a little spice. It’s not quite the broccoli casserole that inspired it, but it was a success. 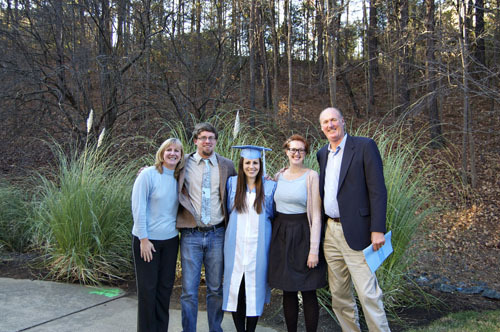 In other news, the real reason we were in NC this past weekend, Genevieve Ann Pigeon is officially a graduate of the University of North Carolina at Chapel Hill. 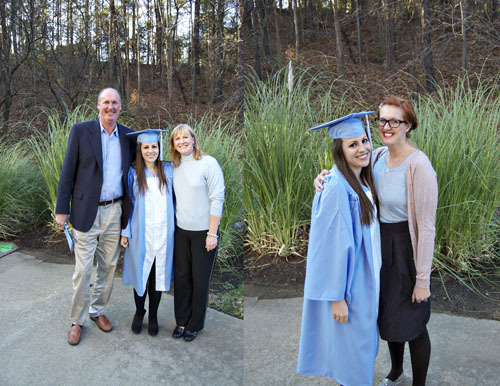 I may have bullied her in to attending her graduation, but she did it and she was beautiful and I am SO incredibly proud of her. In just a week (December 27), she’s moving to Ireland. I’m conflicted, both excited for her and wallowing in despair about not seeing her for a year. The only solution, I think, is that we visit her. Get ready for it Gen! Shuck your oysters and set them aside. 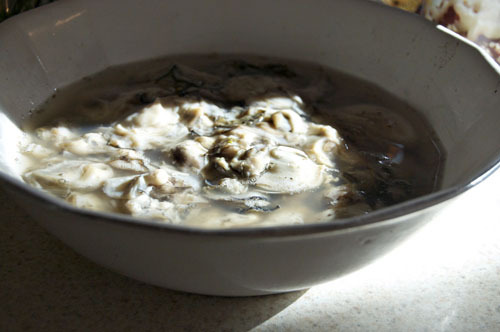 In a medium pot combine milk, cream, a sprinkle of salt, some of the oyster juice (the liquid the oysters are sitting in), a dash of paprika, tsp of worcestershire sauce, a tsp of hot sauce. Once it is warm, stir in half of the cheese. Bring almost to a boil, allowing it to thicken, then remove from heat. 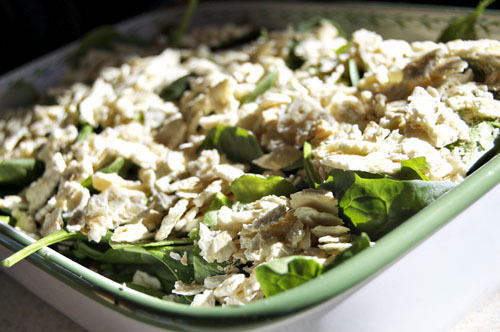 Crumble saltines in a thin layer along the bottom of a large casserole dish. Saute onions and mushrooms, diced, in butter, a tbsp of worcestershire sauce, and a tsp of hot sauce. Scoop those into the dish on top of the saltines. 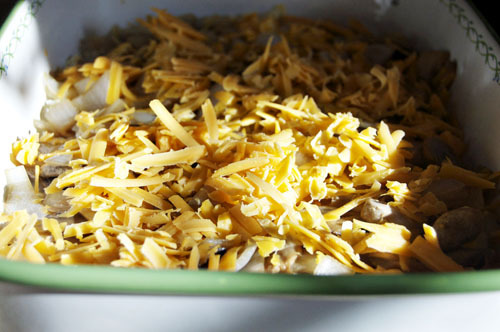 Add half of the shredded cheese. Top with oysters. and spinach. Crumble a second layer of saltines over the top so that there is a good crust. Pour the cream mixture in, pouring around the edges so the crust is left mostly undisturbed. Sprinkle with paprika. Bake at 400 for 30 minutes. This year I participated in the first annual Great Food Blogger Cookie Swap. Lindsay from Love & Olive Oil and Julie from A Little Kitchen organized this event, which brought together over 400 food bloggers who made and sent cookies all over the world. I’m a huge fan of events like this that bring together our community, it was so nice to get to meet new people in such a delicious forum! For my contribution to the swamp, I made Brown Butter Snickerdoodles. 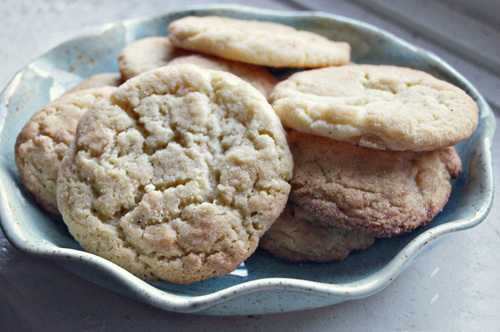 Snickerdoodles are one of my all time favorite cookies, something about their subtly spiced flavor makes my heart warm. I tweaked my usual recipe a bit to include brown butter and a sprinkle of sea salt, which gave them (I think) a delicious twist. I just hope that the three dozen I sent out were eaten as quickly as the ones I made for Dan and I. 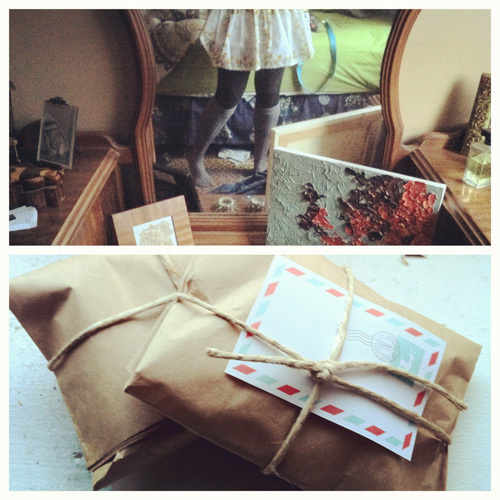 Easily the most fun part of this swap was getting cookies in the mail. 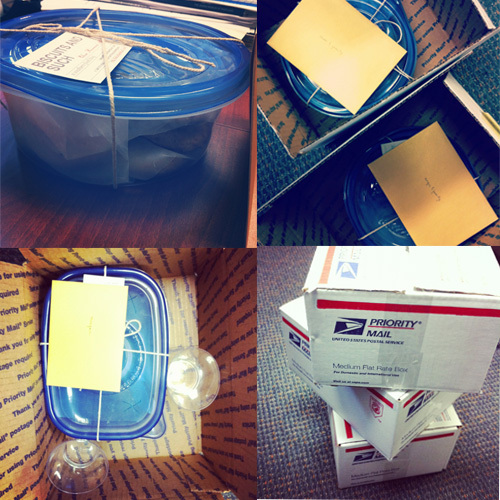 I love all packages, and seeing what my fellow food bloggers came up with COMPLETELY put me to shame. All three of the packages I received were adorable, I have big shoes to fill next year. It was such a pleasure, thank you to to Lindsay & Julie, and to the three ladies who sent me cookies, Vickie, Beth, and Mary! In a small pan, heat two sticks of butter over low heat. Stirring occasionally, cook until browned. Set aside. Mix together flour, salt, sugar, cream of tartar, and baking soda. 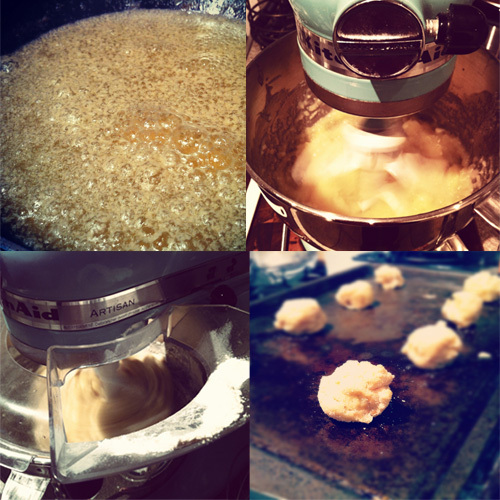 In a mixer, cream the remaining butter and sugar. Add browned butter, then add eggs, one at a time. Slowly add in dry ingredients. Mix until well incorporated.